News Catalonia: What is a Declaration of Sovereignty and what is it good for? What is a Declaration of Sovereignty and what is it good for? The Parliament of Catalonia wants to vote on a declaration of sovereignty before the end of the month. Nevertheless, the political debate has created some confusion about the extent and the value of such a declaration. We offer here some answers to the most frequent questions. What is a Declaration of Sovereignty? Normally, a declaration of sovereignty is made by a group of humans, a nation, that declares to the world that from that moment forward they are the subject of sovereignty, that is, that they don't recognize any other sovereignty to be superior to that of their own people. Is a Declaration of Sovereignty the same as a Declaration of Independence? Not necessarily. Often a declaration of sovereignty comes before one of independence. It's logical that a people first declares that it is sovereign and then specifies how it wishes to exercise that sovereignty. But it turns out that declarations of independence often come about abruptly, and therefore, sometimes a single document serves both functions. Are there consequences to declaring oneself to be the subject of political and judicial law? There are. But only if those rights are exercised at some point. It's possible, for example, to declare a people's sovereignty and never declare independence. In that case, the declaration of sovereignty is simply rhetorical. But if independence is declared, the foundation of this declaration is always rooted in the previous declaration of sovereignty. If the conflict makes it to international courts, the declaration of soverignty would be valuable. In the case of Catalonia, what value does a declaration of sovereignty have? The Catalan case is following a very clear path, so that a declaration of independence, when it arrives, can be legally defended in the international sphere. In the first place, last September, the Parliament of the 9th Legislature, chosen democratically, approved resolution 742/IX, with which it announced the convocation of a referendum on self-determination. It was the first step in the process towards self-determination. And one should not overlook, at the same time, the earlier three votes (in 1989, 1998, and 2010) in which the Parliament already announced, even while accepting the established legal framework of the time, that it did not renounce the right to self-determination. With respect to the vote of last September 27th, since this decision was not contained in the platforms of the parties who voted for it, it was prudent to hold new elections, so that the parties could incorporate the wish to hold a referendum into their platforms, and therefore, have the people ratify that wish. In that way, no one could accuse either the parties or the Parliament of deceiving the people. The clearly majority popular vote [on November 25th] reaffirmed the desire to hold a referendum. The next step, therefore, is to proclaim sovereignty. To tell the world that the People of Catalonia do not recognize any sovereign power above their own and that the cornerstone of the process begun on September 27, 2012 resides in this solemn decision. If Catalonia recognized a subject of sovereignty different than its own, then it would be obvious that it could not decide on its own, and any decision that it wanted to take would have to be shared or negotiated with those with whom it shared sovereignty. This is the basic reason for the declaration. If Catalonia, for example, recognized Spanish sovereignty over itself, it would then be forced to submit a decision like independence to the vote of all Spaniards. Can one recognize the sovereignty of Catalonia while going against independence? Of course. That is the common practice of ceding sovereignty among states, especially in the European context. 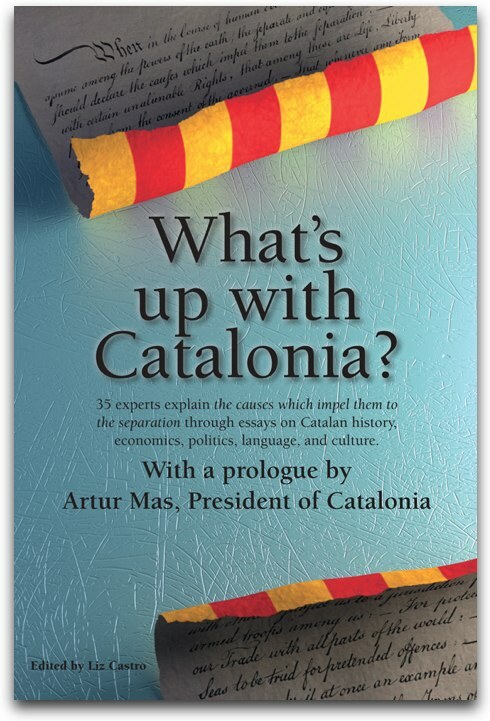 Catalonia, when it is independent, will probably cede part of its sovereignty to Europe or to supranational entities. Even becoming a part of the United Nations implies a minor cession of sovereignty. Therefore, the one does not exclude the other. That said, it's not very common to recognize one's own sovereignty and then accept the "status quo" of submission to another, like for example, a 'People of Spain' that included the 'People of Catalonia'. The principal reason that might justify an apparently contradictory attitude like that one is to defend the prevalence of democracy. Since nations all over the world are recognized as sovereign and sub-national entities are not, it's hard to say that Catalonia is a nation and then at the same time deprive it of its right to exercise its sovereignty. That's why the possibility of the people voting is recognized. But the population can decide voluntarily whether to submit its sovereignty to another. This is also a sovereign act which cannot be appealed, because it's obvious that if the Catalan people have the right to self-determination, this right cannot be conditioned by which decision it might make. How many votes are necessary to declare sovereignty? There is no established figure. In fact, international jurisprudence even accepts that sovereignty doesn't need to be proclaimed by a formally constituted parliament. It could be declared by an assembly that was created expressly for that purpose. But it is obvious that, the closer the declaration is to the evolution of existing law, the more judicial weight it will carry. There is the possibility that the proclamation of independence ends up in a legal confrontation between the Spanish and Catalan states in the International Courts. If that happens, the court will analyze the method taken for declaring independence, starting with the notion that the more representative of the will of the population, the better. And in this respect, the sequence explained before and the number of votes both count. Starting from a simple majority, then, the closer that we get to a super majority, the better since we can then can argue that there is greater legitimacy, in the case of a legal conflict. Can getting to this majority make the declaration unusable, if concessions must be made to everyone? A declaration of sovereignty only has to satisfy two provisions: that the subject which is proclaimed, the Catalan Nation in this case, recognizes no other sovereignty above its own and therefore constitutes itself as a sovereign subject; and that it wishes to exercise its sovereignty in a specific way, deciding the legal status that it adopts internationally. While those two points are clear, the declaration is sufficient. If the declaration of sovereignty is not approved, can independence be voted on later? Independence can always be voted on, whether or not there is a previous declaration of sovereignty, because voting for independence is itself a demonstration of sovereignty. Big fan of your blog Señora Castro. I am an American small business owner in Barcelona and care deeply for the future of Catalonia, its people and culture. I follow the news from both my home country and host country with an unquenched hope for change and progress. Good luck with your book project!